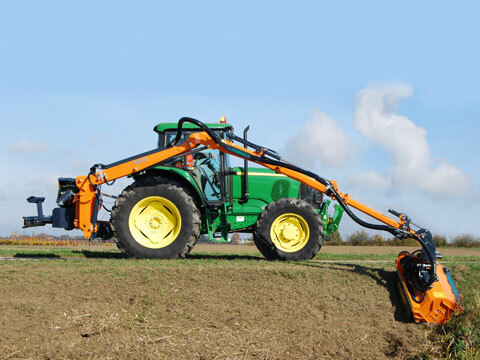 Bush cutters designed to be hooked to the tractor hoist with a three-point hitch or an integrated support frame, that operate via connection with the shaft drive to the PTO. The various series in the catalogue differ in the construction of the arm which is consistent with the length, the tools attached at the end and the degree of the forward rotation of the arm. 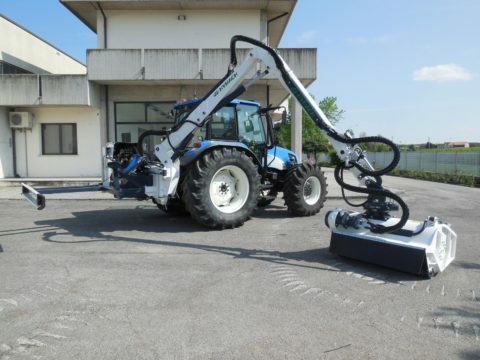 It is possible, in fact, to move the arm into a forward position so that the operator has better visibility when working. This is the perfect solution if you need to quickly free the tractor without losing lateral visibility whilst maintaining productive, high quality work. 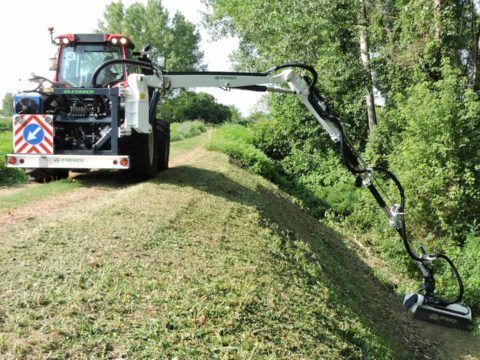 Veryvis, our latest creation, has a device that allows a double rotation of 170° in total: forwards, so that the head is easily visible to the operator, even when working close-up, and backwards so that the machine can be closed in the resting position like a normal rear-mounted bush cutter. The mechanisms that carry out this double rotation are hydraulically powered and are controlled from the control panel of the machine. 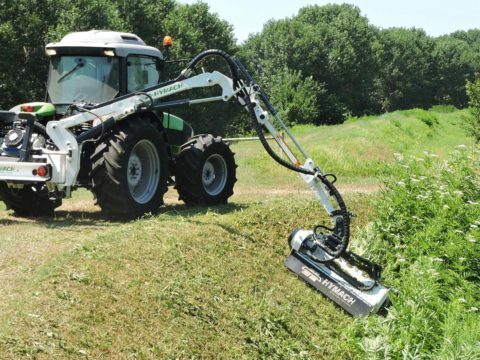 Our rear-mounted bush cutters with a forward arm derive from the ones with long hydraulic arms with which we started our company, and have been built with the same ideals: sturdy, functional and efficient. They can also be custom built by modifying both the structure and the system for each user’s particular needs.